Directed by Andrew Stanton who also happens to be one of the writers (Toy Story 3), JOHN CARTER is based on the 1912 novel by Edgar Rice Burroughs (Tarzan), A Princess of Mars and stars the talented Taylor Kitsch (John Carter) and delightful Lynn Collins (Dejah Thoris) as the two main protagonists of the film. The movie also stars Samantha Morton, Wilem Dafoe, Thomas Haden Church, Mark Strong, Ciaran Hinds, Dominic West, James Purefoy, Bryan Cranston, Polly Walker and Daryl Sabara. Many of these actors don't appear in the movie as they voice a rather interesting four armed humanoid creature. However unlike the original novel by Edgar Rice Burroughs, the creators of this film have used some artistic liberty to modernise the original story which works in some places and falls apart in other areas. Imagine Star Wars meets Dune and that's how John Carter plays out with a considerably amount of special effects to assist in the process. 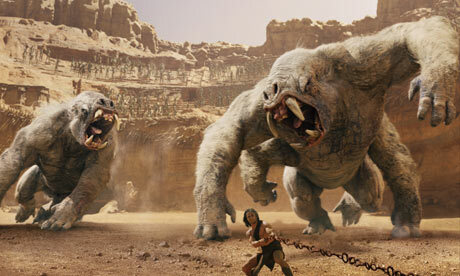 With that said, John Carter is your typical blockbuster sci-fi film from Hollywood, it's big, it's loud and the plot is a little convoluted. The film begins in the late 18th century which helps establish the motivations of our reluctant hero Carter who is being pursued by Apache Indians where he hides in an ancient cave. 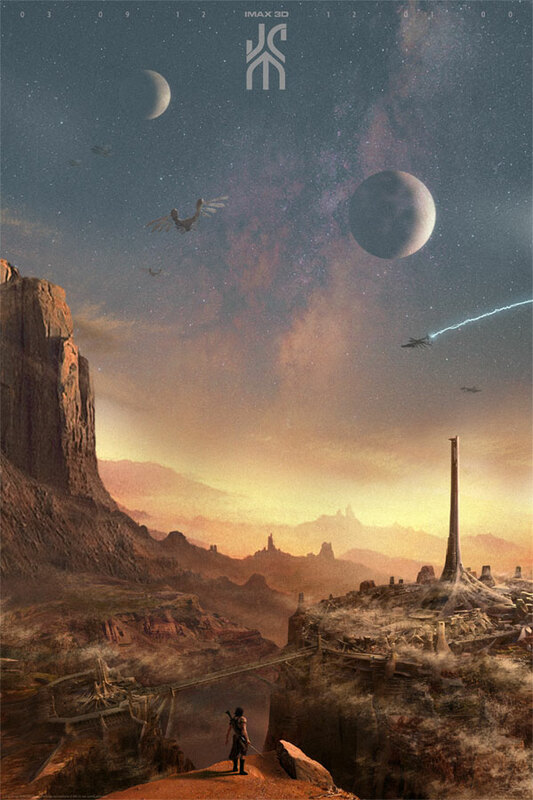 This is where Carter has his first taste of Mars as he is forced to defend himself from a strange man with what appears to be a magical device. After killing this man, he finds an amulet that takes him to the red desert of Mars. In classic Edgar Rice Burroughs fashion and just like the old TV serials of yesteryear, Carter soon becomes embroiled in a civil war between two human factions, including the destined hero to the four armed inhabitants of the world called the Tharks. This is where the special effects come into play which do look very impressive, especially on IMAX. Carter also falls for the beautiful Princess of Mars, Dejah Thoris who has been forced by her father Tardos Mors (Ciaran Hinds) to marry Sab Than (Dominic West) in order to keep peace. Although the usual furore is employed with the action in the movie and generally the plot flows well, the biggest obscurity in the entire film are the mysterious watchers who seem to be the catalysts of destruction on countless planets and more particular, that of Mars. The leader of this elusive group is Matai Shang who is played perfectly by Mark Strong as this nefarious and emotionless character whose species thrives on chaos. Other strong characters include Kitsch as Carter and Collins as Thoris who have this great chemistry between them. They also help with the comedy, as does this strange dog-like creature who can run at super speeds. The special effects used in the movie are exceptional, especially the Tharks who have this realistic appearance to them and the actors that voice these characters assist in making them appear more real than they actually are such as Wilem Dafoe as Tars Tarkas. His amusing pronunciation of Virginia is highly amusing which refers to John Carter. 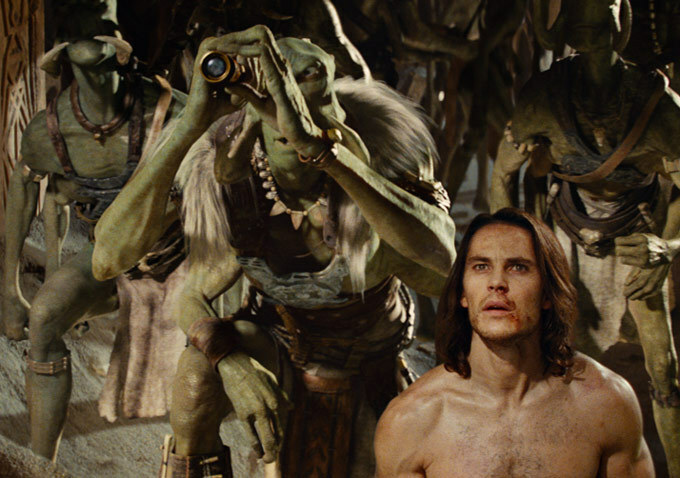 Although the plot is clichéd and the dialogue is a little corny, the only issue that I had with John Carter is probably that the movie is a little too long, however for such a generic science fiction, it was actually quite refreshing to see a movie based on a classic and interestingly enough, it works. In terms of the length, the ending seems rushed but it does open up the story for a sequel which reportedly is in works. It's definitely worth seeing on the IMAX screen for the special effects but don't aspect to be wowed by the 3D as it is a little lacking. Nonetheless, a fun and enjoyable ride from start to finish.